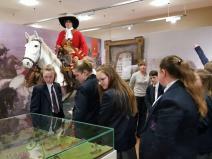 Our Year 9 pupils recently visited the Museum of Orange Heritage at Schomberg House in Belfast. The Grand Orange Lodge of Ireland (GOLI) had secured funding from the Department of Communities to deliver a good relations initiative that would give young people a better understanding of the traditions, history and heritage of the Orange Institution. 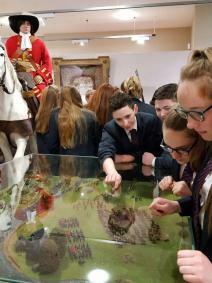 This educational session linked in perfectly with the Year 9 History syllabus as pupils cover the Battle of the Boyne and William of Orange. 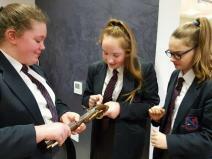 During the visit, pupils received a guided tour of the galleries to view artefacts relating to the William and Jacobite period in Ireland. 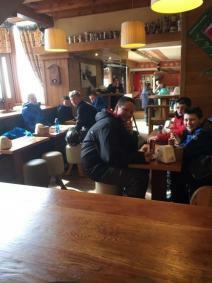 There was also an opportunity to explore culture and identity. 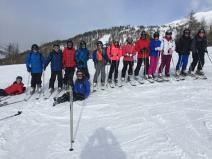 Many thanks to the GOLI staff at Schomberg House and also to our own staff of Mrs Reid, Mr Gibson and Mr McMahon for providing supervision. On Wednesday 29th March 2017, some of the year 8 boys travelled to St Paul's to compete in a Rugby 7's match as part of the Shared Education Signature Project Rugby Scheme. 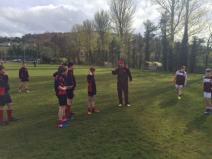 Since Halloween, boys have been attending training at St Paul's and have received coaching from Ulster Rugby coaches. To begin with, some of the boys had never played rugby before and since then have developed a range of skills and a good understanding of the game. The squad consisted of Jack Cully, James Hamilton, Ben Armstrong, Samuel Gass, Jamie Nesbitt, Bradley Smyton & Daniel Porter. The match was well fought and there were very impressive phases of play from both sides. The Newtownhamilton boys put on an excellent performance and showed great determination throughout. In the end they won the match 34-24. 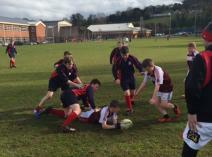 Tries were scored by Bradley Smyton (2), Daniel Porter, Jamie Nesbitt (2) & James Hamilton. Over the past two months 9X History pupils had the great opportunity to take part in a North South Digital Literacy History Project called 'Different Lenses'. 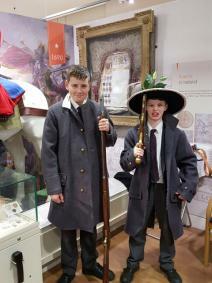 Our pupils researched the significance and impact of a local 19th century minister: Rev. Daniel Gunn Brown. They were fascinated to discover this 'hidden hero' on their doorstep - a man who selflessly helped the poorest members of Newtownhamilton's community during the height of the Irish Famine. 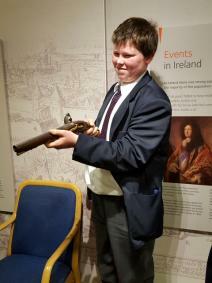 The pupils were delighted to venture out on mini research fieldtrips in the local area and to interview passionate local historian, Kevin Murphy. They developed new digital ICT skills: acting, filming and editing their own mini film on Rev. 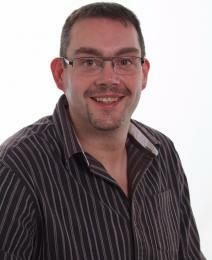 Brown's importance to our local area. Some budding Spielbergs and Oscar contenders were unearthed in the process. The project culminated with a fantastic showcase of the screening of the film they created: 'A Hidden Hero' in the Armagh Market Place Theatre. The film will be premiered on the History Department's Twitter and Webpage when its release date is announced. Watch this space. 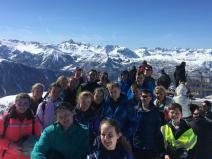 A huge thanks is extended to Miss Copeland and Mrs Reid who guided the pupils on this adventure into the unknown and helped them 'Make History'. Congratulations to Year 9 pupil Steven King on being selected for the Mid Ulster Schools’ Football Association (MUSFA) Under 13 Squad. Well done Steven. Year 10, 11 & 12 were treated to a fantastic workshop with the STEM Module on Monday 27th April 2017. The workshop was looking at microbiology and pupils learnt about different aseptic techniques used. Pupils got to culture their own bacteria using agar plates learning about techniques such as bacteria streaking. 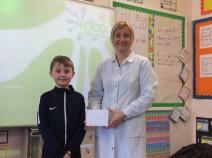 They looked at how antibiotics work and were shown how they can be used to treat infections. Pupils also got to explore the bacteria that lives on their body and were able to look at different types of bacteria that live on their hands. Pupils also got to look at different bacteria under very powerful microscopes. will need to know about these processes as part of their biology modules. 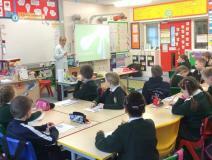 Many thanks to the STEM MODULE for their time and for providing a very enjoyable and useful programme for pupils. 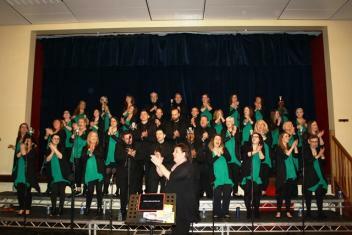 Saturday 25th March saw Newtownhamilton High School host a night with the Belfast Community Gospel Choir. 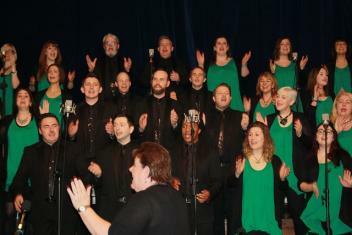 A truly enjoyable night was had by all who attended. The concert was raising funds for a charity called Jengana, making a huge difference in the lives of children from Kenya. A huge big thank you to all who helped in any way to make this event a success. Special word of thanks to Lila’s in Armagh, Pinkertons Pork, Fane Valley and Wilfred Park for their very generous sponsorship donations. 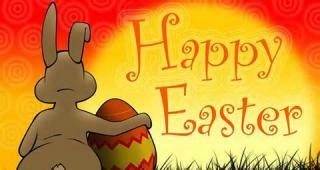 We hope you can still ‘Feel The Joy’!! 10A enjoyed a fabulous workshop delivered by ABCE (Association Bulgarian Culture and Education) as part of the cultural diversity programme they are following. As part of the workshop pupils and staff got to sample Bulgarian food, found out about Bulgarian history and traditions and were taught a Bulgarian dance. The session culminated in the pupils making their own masks to reflect the custom where Bulgarians dress up in their costumes and elaborate masks and parade through their towns. Each year they add more details to their costume, so as they get older their costumes become more elaborate and colourful. A special thank you to all the facilitators who made the workshop possible. Congratulations to our Year 8 pupil Isaac Preston following his selection to the Mid Ulster Schools’ Football Association (MUSFA) Under 12 Squad. Isaac will now participate in training and friendly fixtures in preparation for the N Ireland District competition in April. Well done Isaac. 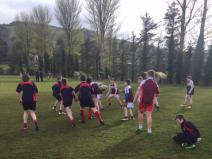 On Wednesday 22nd March Newtownhamilton High School welcomed City of Armagh High, Newry High and Aughnacloy High School to join us for the first year of our annual tournament ‘Newtown 6s’. 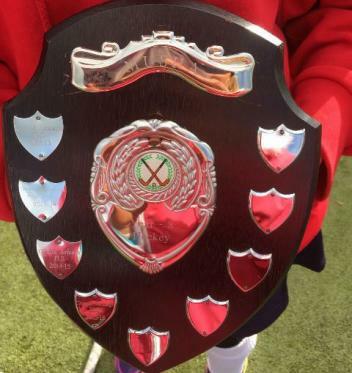 Podium for Sport kindly sponsored two beautiful shields, so competition levels were high for both U12 and U13 girls. Although it was a chilly day, enthusiasm and motivation filled the air over the new AstroTurf pitch, with great excitement and eagerness from everyone. The Newtown Year 8 team kicked of the tournament against a very strong team from City of Armagh, unfortunately only claiming 1 point from a 3 all draw. After a few tactical changes our girls decided to attack stronger and work for more goals to secure 3 points for a win. Each school displayed high levels of skill and continuous sharp, quick reaction times from our opponents’ goal keepers was not enough to prevent our own Ellen McBride from scoring a tremendous 18 goals awarding her the certificate for Year 8 Top Goal Scorer for the tournament. Team captain Ellen along with her squad of Ruth Mitchell, Elle Corkey, Megan Walker, Hannah McMurdie, Laura Nesbitt, Jenna Belshaw and Kate Berry excelled in their performance to finish top of the table and secure the gold medals. From the outset Newtownhamilton Year 9 girls set the standard extremely high, demonstrating beautiful passing and team play to secure 3 points in all games. At no stage did the girls look under threat and Captain Nicole Bailie proudly collected the gold medals with her strong squad of Lauren Gibson, Ellen Hughes, Andrea Whyte, Lydia Ewart, Ruby Blackwood and Chloe Courtney. A special mention most go to our little speed machine Dinah Park who tirelessly skilled the defence line with her ball control and fast feet to set up scoring opportunities for her team. Dinah netted an impressive 7 goals but missed out on the Year 9 certificate by 1 goal to Jodie Russell from City of Armagh High who also achieved second position in both groups taking home silver medals. 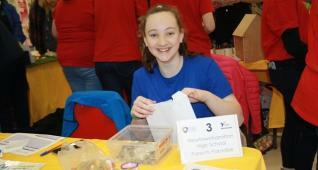 A fun and fantastic day had by all…………………..Go Team Newtown!!! Many thanks to our School Association Members for organising a School Social last Thursday evening. 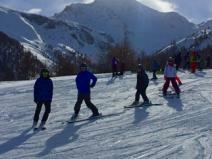 A lot of fun was had and the late night did not present any problems as pupils were able to take advantage of a lie in bed on Friday morning due to the St. Patrick’s Day holiday. 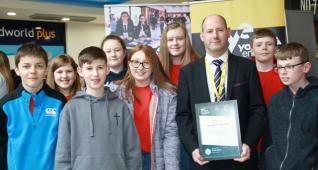 Newtownhamilton High School recently enjoyed a visit from Mr Barry Mulholland, the Chief Executive of the newly formed Controlled Schools’ Support Council (CSSC). The CSSC is a new body specifically designed to support and develop the interest of controlled schools of Northern Ireland. 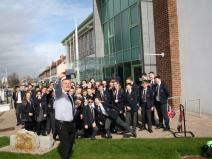 Principal Neil Megaw used Mr Mulholland’s visit to highlight some of the current issues facing Newtownhamilton High, before providing a tour of the school premises which included a visit to the Home Economics departments where Year 9 pupils were making homemade beef burgers with salad and coleslaw. 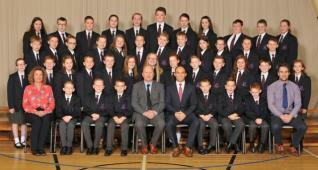 Pictured are Year 9 pupils Dinah Park and Steven King with Principal Neil Megaw and CSSC Chief Executive Barry Mulholland. 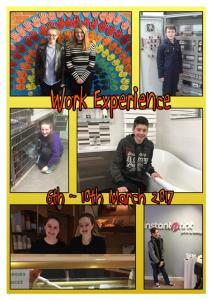 Year 11 pupils spent last week on Work Experience as part of the school CEIAG (Careers Education, Information, Advice & Guidance) programme. 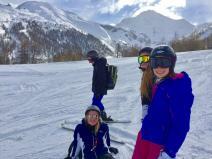 Vice Principal & CEIAG Co-ordinator Mr Cousins travelled around the country visiting pupils and taking some action photos. 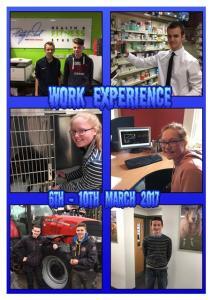 Work experience provides an excellent opportunity for pupils to sample a possible career path and also gain some valuable knowledge and experience in that area. 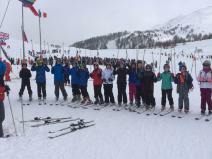 All pupils really enjoyed the week and this will be an experience that they will never forget. As part of the strong links that Newtownhamilton High has with its contributory primary schools, our Home Economics Teacher Mrs Carol Alexander made a recent visit to Lisnadill Primary School in order to provide some guidance on the UK’s Healthy Eating Model: ‘The Eatwell Guide’. 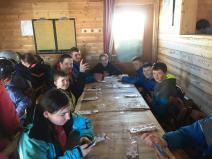 Pupils were then given the opportunity to put their knowledge into practice by preparing a fruit salad, which was subsequently munched up by pupils and teachers for their healthy morning break. Many thanks to Lisnadill Primary School for the warm welcome which Mrs Alexander received and also for the assistance provided by Teacher Mrs Debbie McKnight and Student Teacher (and former Newtownhamilton High School pupil) Miss Leanne McNiece. 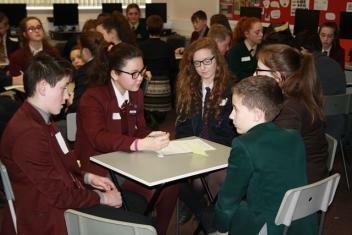 Our Year 8 pupils travelled to Newry High School on 7 March to develop their cultural awareness. Over the last week pupils carried out research on a number of different countries and when they came together in Newry High they worked in teams to create display boards highlighting interesting facts about the geography, size and culture of their country. Each team was then responsible for giving an oral presentation of their country to the rest of the groups. 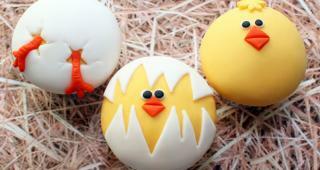 The Polish biscuits and treats were very welcome at break time and helped to illustrate the diversity in food. The day culminated in a challenging quiz based on all the countries. 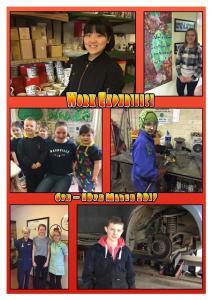 Well done to all the pupils for their hard work and participation. 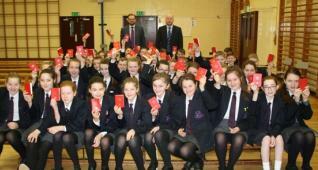 The focus for the Year 9 shared event was online safety. 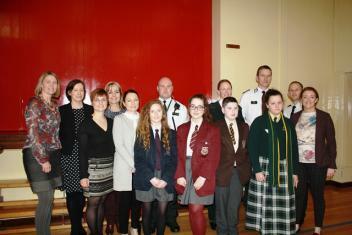 The PSNI and REIM Training Solutions came together in Newtownhamilton High School on 9 March to deliver workshops on very topical issues regarding staying safe online and who they can go to if they experience any problems or issues when online. 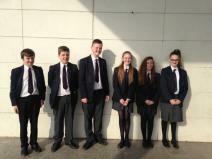 The topics covered generic Internet Safety, grooming, the use of apps and the dangers of these, gaming and sexting. Pupils have certainly developed their knowledge and understanding of these areas and are more aware of the dangers of being online which will help to keep them safe in the future on their online activity. We want to express our thanks to both the PSNI, REIM training Solutions for their clear and sensitive portrayal of these issues and to all the staff who assisted with each of the workshops. 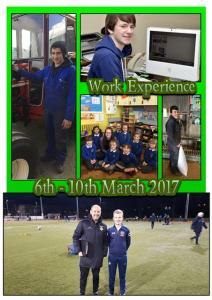 Today, Thursday 9th March 2017, marks 30 years of employment at Newtownhamilton High School for our faithful ICT Technician Mr Derek Riddle. 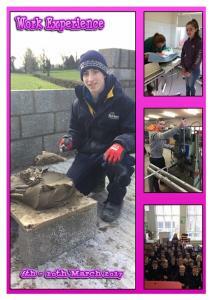 Derek is a popular figure at Newtownhamilton High with staff and pupils and has played a key role in our success over many years. Things are a little quieter than normal in Newtownhamilton High School this week with 65 less pupils on the school corridors. 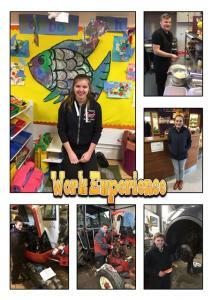 Our 41 Year 11 pupils are spending their week with local employers on work experience as part of our Careers Education, Information, Advice & Guidance (CEIAG) programme. 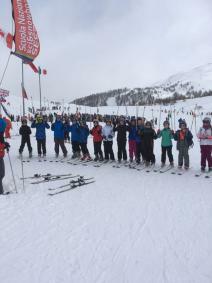 Meanwhile, over in Sestriere in Italy, 24 of our Key Stage 3 pupils are on a joint ski trip with pupils from Newry High School. 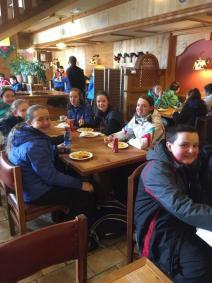 Updated reports confirm there is plenty of snow and lots of pizza! 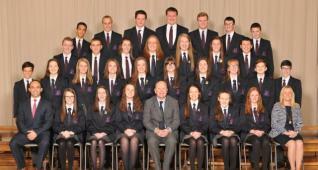 We look forward to everyone safely returning back to school next Monday. 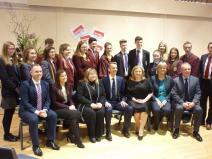 On Tuesday 28th February, three Year 12 pupils had the opportunity to hear Dearbhail McDonald and Andy Haldane speak at St. Paul’s High School, Bessbrook. 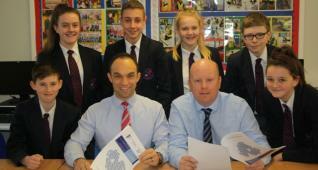 Miss McDonald is a business journalist while Mr Haldane is the Chief Economist for the Bank of England. The talk was centred on what economics is and how the economy works. Mr Haldane explained how interest rates work and what causes them to plummet. Mr Haldane spoke about the Monetary Policy Committee and how they work to achieve the inflation rate of 2%, while also working closely together with Parliament and Stormont to ensure the stability of the Northern Ireland economy. As the Chief Economist, Andy explained that we are in unchartered territory with Brexit and that we would have to work as a unit in order to prepare for what is to come. 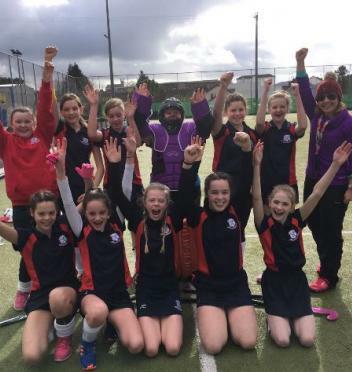 Congratulations to the Year 8 Hockey team and their Coach Miss Anderson following their success in a 8-a-side tournament held at Newry Hockey Club on Wednesday 1st March. The Newtown girls opened with a 4-0 victory over Newry High School, before trailing City of Armagh High School 2-0 in their final game but a late comeback resulted in 3 goals with Ruth Mitchell scoring the winning goal with only 2 minutes remaining. Congratulations to the winning squad of: Ellen McBride (Captain), Lucy Gray, Jodie Truesdale, Jenna Belshaw, Ruth Mitchell, Jane Berry, Megan Walker, Elle Corkey, Laura Nesbitt, Kate Berry & Hannah McMurdie.